You can optimize the pavement mix, placement practices, and finishing techniques, but what’s underneath the pavement can make all the difference between a long-lasting pavement and one that experiences problems prematurely. The critical characteristics of a pavement foundation are uniformity and stability. The foundation must provide stable support conditions to the pavement throughout the pavement’s service life. To increase the range of stabilization options for future foundation designs, the Center for Earthworks Engineering Research (CEER) is testing a variety of foundation stabilization technologies and stiffness measurement technologies with a focus on assessing freeze-thaw performance. 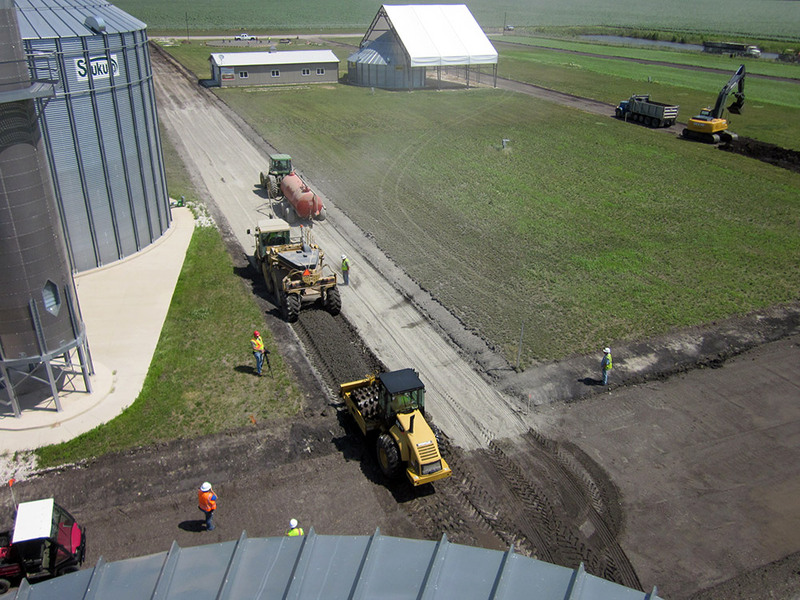 The project, supported by the Iowa DOT and FHWA, is known as the Central Iowa Expo. The project is currently under long-term performance evaluation. Seasonal variations in temperature, stiffness, and drainage are being monitored. An overview of the project is available on YouTube: www.youtube.com/watch?v=qnq4fmRs6so. Tech briefs have been developed for the different stabilization technologies: www.ceer.iastate.edu/research/project/project.cfm?projectID=-275497063.